A Chronic Kidney Disease patient conducting Dialysis emailed KidneyBuzz.com and asked, "I have been selected to take part in a new clinical trial for anemia. I suffer badly from low energy and anemia but was not expecting to be selected. Should I take part in the trial?" A growing number of Chronic Kidney Disease and Dialysis patients are choosing to partake in Clinical Trials for new breakthrough therapies and alternative treatments. In many cases, patients who have taken part in trials have had great experiences which enhanced their lives. Check out the following benefits patients are experiencing as a result of Clinical Trials and some trial cautions that Chronic Kidney Disease and Dialysis patients should be aware of before beginning a trial. For many patients who have taken part in a Clinical Trial, the hope of personal health benefits was their main or only reason for starting. This might include getting a new drug, treatment or device they thought might help them; learning more about their condition; being screened (hoping either to be reassured or to get an early diagnosis); the chance of getting access to the care they felt would be better or more specialized, or faster access to care. Some people added that they took part for their own interest or curiosity. Fundamentally, a Clinical Trial is a research study that looks at how well a new treatment works in Chronic Kidney Disease and Dialysis patients (this is called “efficacy”). The treatment may be a drug, medical procedure, medical device (like the Artificial Implantable Kidney) or even a lifestyle change. A clinical trial also makes sure the new treatment is safe, well tolerated, and does not cause harm or serious side effects in most people. In short, a clinical trial helps to answer two important questions: (1) Does the new treatment work in people and (2) Is the new treatment safe? Your eligibility for a clinical trial - including the Artificial Implantable Kidney Human Trials which have not yet released specific criteria - may be based on your age, gender, overall health, type of treatment and stage of Kidney Failure. Each study has its own rules about who can or cannot participate in the study. Nonetheless, patients who participate in Clinical Trials do so freely and of their own will. Chronic Kidney Disease and Dialysis patients should recognize that they are volunteers and can withdraw from a trial at any point. Moreover, patients do not have to give a reason. Withdrawing from a trial will not be held against a patient in any way. Each clinical trial is led by a principal investigator, who is usually a Medical Doctor or Researcher. In addition, there is often a team of Doctors, Nurses, Social Workers, and other Healthcare Professionals who will work directly with patients and provide their medical care. To cover the costs involved, a study must also have financial support. This funding may come from a drug company, University Medical Center, Government Agency, Independent Organization or a combination of funding. The group that provides funding is usually referred to as the Sponsor and patients typically do not have to pay in order to take part in the Clinical Trial. 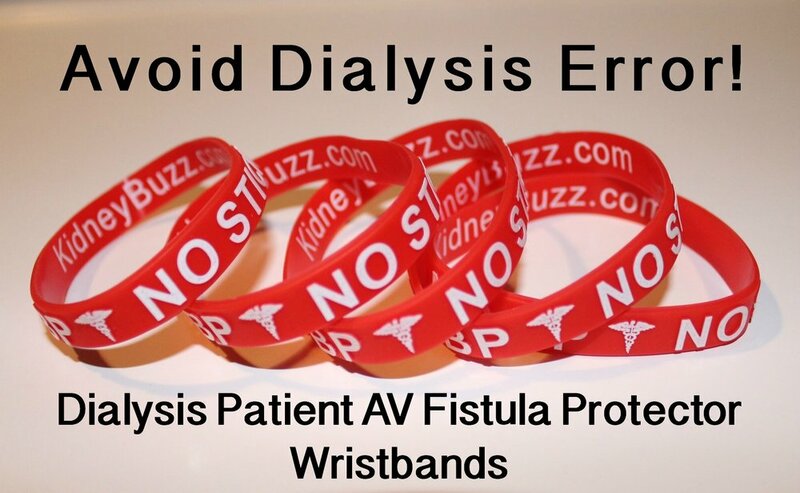 KidneyBuzz.com often provides Chronic Kidney Disease and Dialysis patients information on many of the biggest and most groundbreaking Clinical Trials in the community. Hence, lookout for the latest trials in which you may want to participate. Also, if you are considering a trial that KidneyBuzz.com has not already shared, then contact us (click here) to let us know and we would be happy to provide our insights on the trial. Have you ever taken part in a Clinical Trial? If not, would you consider partaking? Why or why not? Share your experience and insights with the over 68,000 Friends who have liked KidneyBuzz.com on Facebook (click here). Also, follow the over 250,000+ monthly individual viewers who visit KidneyBuzz.com regularly for the latest daily news and information which teach those with Chronic Kidney Disease, Dialysis, Kidney Transplant, Diabetes, and Hypertension how to better manage and improve their lives. Erica Ashley Jenkins (Dialysis Nurse) said, "Hello I just wanted to let you know I work in a dialysis clinic and over half of our clinic reads this page, we enjoy everything you put on and love to have new information. My patients are very grateful."